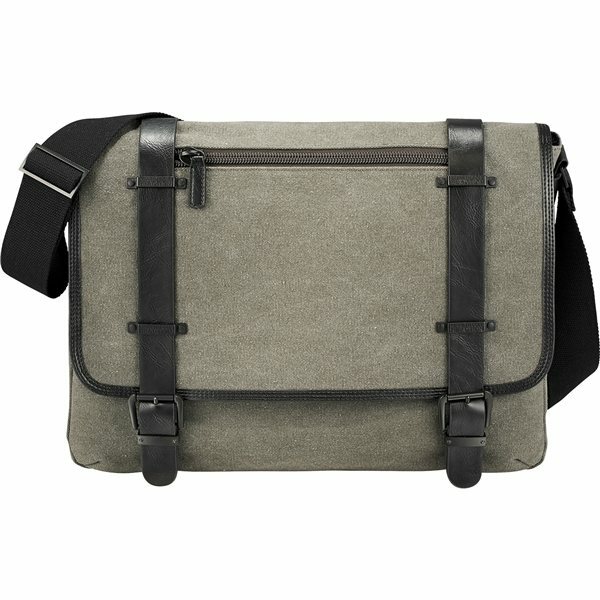 Exclusive design from Kenneth Cole® mixes a casual and urban style with premium materials for a fashionable and functional computer messenger bag. 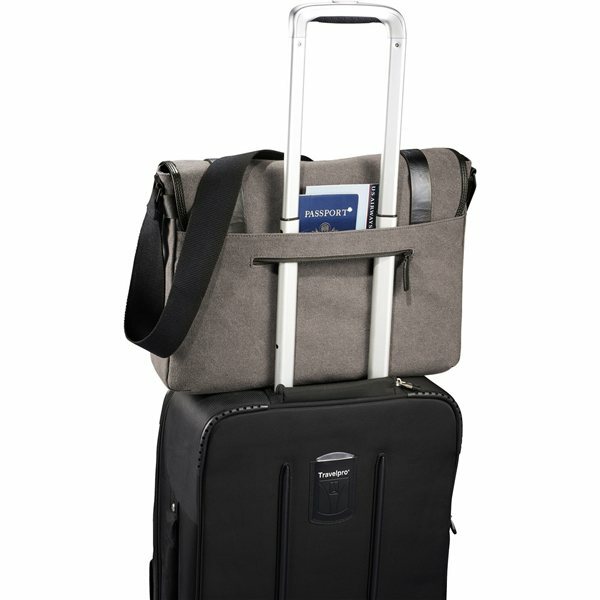 Features padded main compartment for your laptop and a dedicated lined pocket for your iPad or other tablet device. 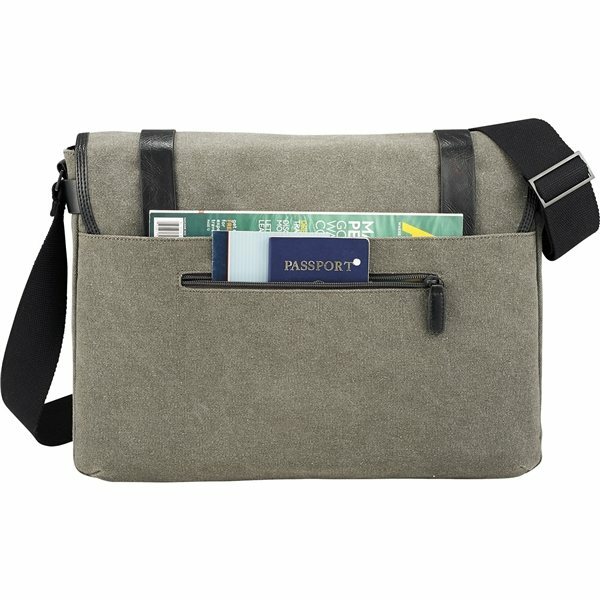 Main compartment is large enough to fit everything you need for the office and has an internal organizer for pens and cards. Zippered pockets on the front and back for quick access to things such as your keys, ID, passport, or anything else you need for work or travel. Heavy duty canvas, magnetic snap closures, oversized zippers, and soft vinyl accents finish off the look. Can't wait for the product to be used at our Workshop - they arrive on time and look great. Great product and excellent value. I am very happy with the quality of the product. Loved the pricing on this one. Roomy and made of good quality. Value this has been the go to product for our independence day freebies! Affordable and useful! This can be an excellent item.